Thomas Jefferson made a habit of inspecting his plantation in the afternoon to monitor the work of the 150 enslaved workers who worked at Monticello and his outlying farms. Always interested in measurements and record-keeping, Jefferson made extensive notations about his slaves and their duties in his Farm Book and Memorandum Books. For instance, he noted the rations his overseer distributed, the number of yards he purchased for clothing, the daily task required by particular enslaved individuals, and the cost of items purchased for use in the kitchen. 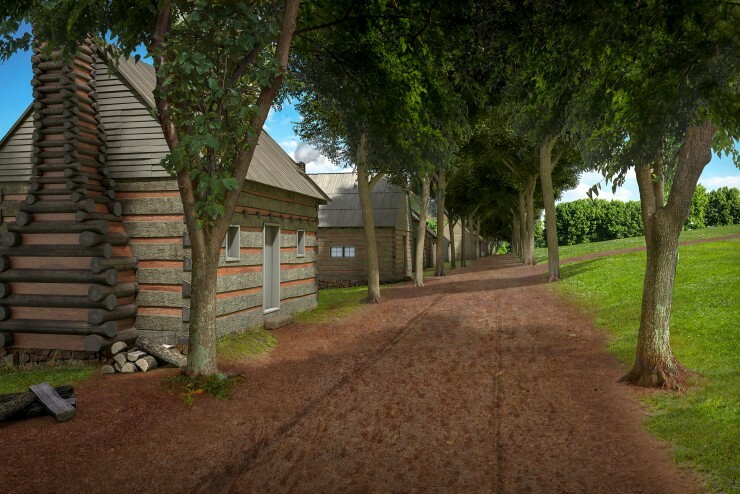 Some of those enslaved at Monticello lived and worked along Mulberry Row, a 1,000-foot-long road located on the mountaintop, just south of the main house. 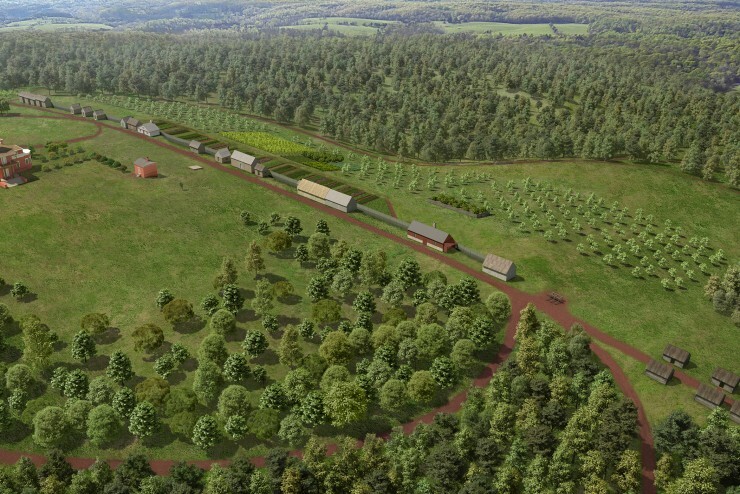 Named for the mulberry trees planted along it, the road was the center of plantation activity at Monticello from the 1770s until Jefferson's death in 1826. 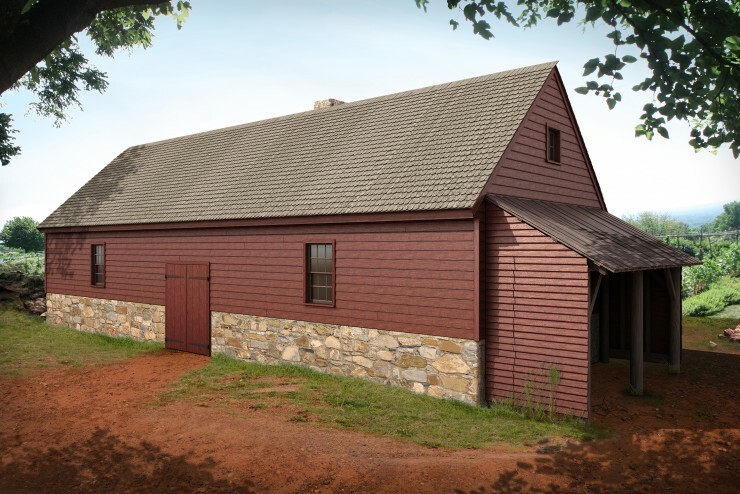 The known buildings located along the street were stone and log dwellings, storage buildings, a stable, a combination smokehouse and dairy, a blacksmith shop that for some years also housed a nailery, a joinery, a carpenter's shop, and a sawmill. 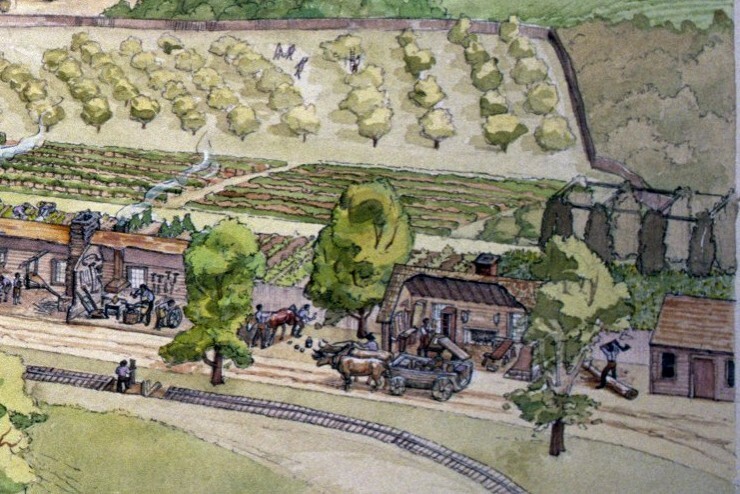 During Jefferson's time, Mulberry Row would have been humming with activity, with over thirty people at work in its shops and yards. Jefferson's words and deeds are contradictory on the issue of slavery. Although he drafted the words "all men are created equal," he held more than 600 individuals in slavery during his lifetime. ...we have the wolf by the ear, and we can neither hold him, nor safely let him go. Justice is in one scale, and self-preservation in the other.